The 41-year-old musician, who helped produce the 30-year-old singer's latest compilation, has admitted the pair of them had no idea what they wanted the album to be like and didn't intend for it to be "contrived", but on the second day it started to transform into heartfelt music, which Mark "really loves". Speaking to Billboard Online about his collaboration with the blonde beauty, he said: "'[I] didn't really know what she wanted to do. "I was like, 'F**k, I really love this.' So we started following that direction - it was never contrived like, 'We're going to make this honest album.' That's what kept coming out. "When Bloodpop came in, it got a lot better. He took what we were doing, which was maybe a little, not retro, but very live-music-recorded, and started to chop the s**t out of it." 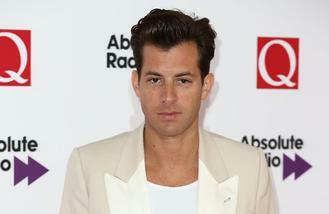 However the DJ - who received the Producer of the Year Grammy award in 2008 for Amy Winehouse's 'Back to Black' - has admitted he tries not to have a "specific sound" but is regularly approached by artists who want him to produce a "'Uptown Funk part two'" or a track similar to his previous successful hits, which he isn't into. He explained: "I try not to have a specific sound because A) you can date yourself, and B) every artist needs something different, so you don't ever know what holes you're going to have to fill. "Some people want something that you might have done ten years ago that you're not really into anymore. You always have to suss out - are they just asking you for 'Uptown Funk part two?' Or coming for my unique brand of retro authenticity for whatever the f**k you want to call it? "Trying to chase that success is also dangerous." And Ronson has revealed he keeps his upcoming projects a secret after being fired in the middle of creating a track, and now doesn't want to be left with "egg on your face". He said: "I don't want bad karma. I never say [what I'm working on] until I'm far down the line, because I've been fired once or twice in the middle and then you have egg on your face."